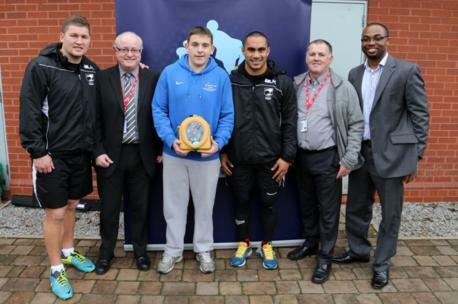 The players were based in Leigh during the Rugby League World Cup and donated the team’s Automated External Defibrillator (AED) to the school once the tournament had finished. New Zealand’s Rugby League World Cup team presented the life-saving kit, provided by HeartSine Technologies and BOC Healthcare, to all the teams in the tournament, on Tonga’s behalf. Each year, over 17,000 people study at Wigan and Leigh College. The life-saving device will now be placed in the institution’s Sixth Form Centre. For more information on Wigan and Leigh College, visit https://www.wigan-leigh.ac.uk/.